For the last few weeks I have been in a creation frenzy. With the cooler weather finally here (which some Rochestarians are not so happy about) I was finally able to get to work on some neglected jewelry designs. All of these pieces, and then some, are now available on the website. And it’s not over yet….I still have many more designs that I planned on rolling out for the fall. So keep checking the website and blog for them. I am a big fan, in both style and decorating, of warm, rich colors. And what better time of the year to really embrace these comforting colors than in the fall. With the exception of a few pieces, you will find a variety of necklaces and earrings incorporating a fall color scheme and (again for some pieces) a bolder design (using less chain). One other constant theme in necklaces is the pendant style. I absolutely love teardrop pendants and in staying with this theme you will find in the coming month(s) at least 4-5 more new teardrop pendant necklaces on the website. When I saw this pendant, I immediately had a vision of how to use it in a necklace design. It is a stunning, rounded teardrop style pendant in a rich amethyst. I simply could not resist accenting it with a small black onyx gemstone and to finish the style I used a 14kt gold-fill textured chain to complement the pendant. I’ve actually had these leaves for at least 8 or more months. When I saw them I just knew they would be an asset in whatever design they were used in. 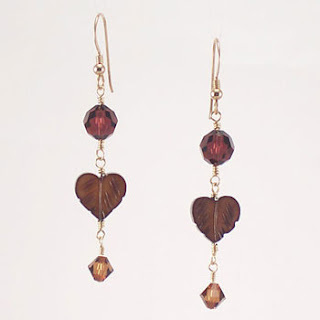 They have no shimmer and so I added a large genuine Swarovski Crystal in a rich burgundy and then sealed the style with a complementary smokey topaz crystal. Even though these earrings are done, this style is not finished yet…a coordinating necklace will be coming soon. 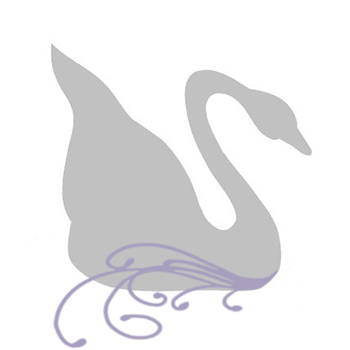 This next design is one of the few that deviates from the rich fall color scheme. But, again, I’ve had this pendant for a while now and it seemed fitting to add it to the collection this season with all the other pendant styles. 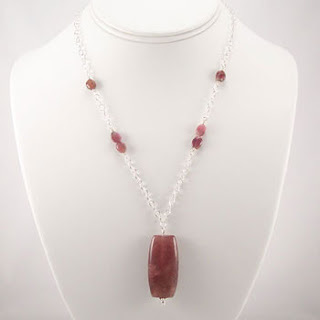 I had such a difficult time finding beads to complement this ruby quartz gemstone pendant, but this past summer I had attended a bead show and purchased some watermelon tourmaline gemstone pebbles. Although tourmaline is a rainbow of beautiful colors I chose to use just the rose colored nuggets and it worked perfectly in this design. To pair with the necklace above, I selected from the remaining tourmaline nuggets a range of color from pink to green for these stunning handmade beaded earrings. 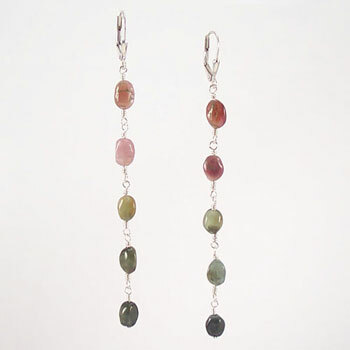 These gemstone earrings are a delicious, mouth-watering pair of watermelon tourmaline gemstone nuggets.